Volkswagen's 65-acre solar farm stretches to the north from its main buildings at the automotive factory campus in Chattanooga. Updated at 10:18 p.m. on Thursday, April 11, 2019. Solar power generation is projected to more than double across the South by 2022 from last year's level, but one of the early leaders in turning to the sun a generation ago won't be one of the major players, according to a new study of solar power in the Southeast. In its second annual study on solar power released Thursday, the Southern Alliance for Clean Energy (SACE) projects electric utilities in the seven states of the Southeast will boost solar generation above 10,000 megawatts this year and should reach 19,000 megawatts by 2022. Trey Danks, 21, the son of founder Barny Danks, helped build the Rossville Solar Farm that will go on line next week in Rossville. "As solar continues to improve, we're very bullish and excited about the growth of solar generation," said Stephen Smith, executive director of the Southern Alliance for Clean Energy, which compiled the figures from industry and utility data across the region. But the Tennessee Valley Authority, which was an early promoter of solar power in the 1970s and '80s with its Green Power Switch and other research programs, is lagging most other Southern utilities, with its solar power output totaling only 81 watts per customer last year. That represents a mere 30 percent of the average solar power wattage provided per customer by all utilities in the Southeast in 2018, which was 269. States and businesses are pushing utilities in much of the South to turn to more renewable sources for energy, which should continue to get cheaper, even with the phase out of federal investment tax credits, SACE officials said. 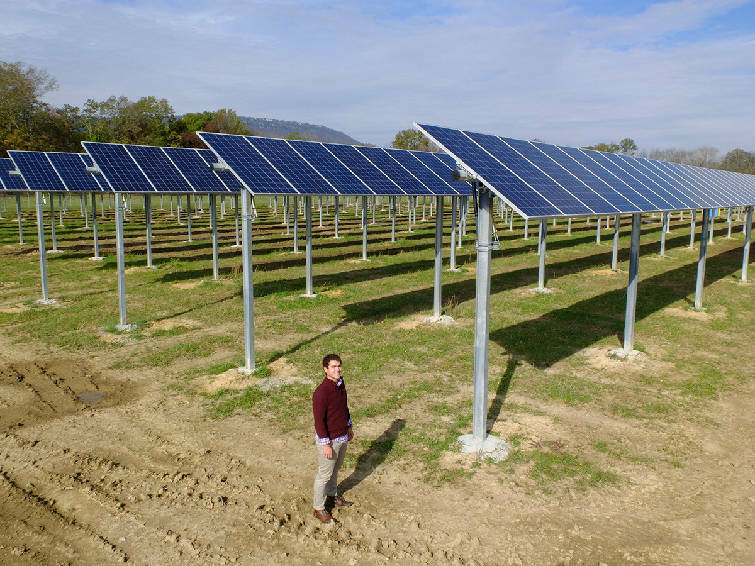 "Corporate procurement is driving a lot of solar," said Bryan Jacob, solar program director for the Southern Alliance for Clean Energy, who helped author the 39-page report. Five major corporations — Facebook, Google, Target, Walmart and Johnson & Johnson — are collectively projected to account for more than 1 gigawatts of solar generation, including 675 megawatts of solar in Tennessee and Georgia. But the study said beyond the corporate demand for more solar, TVA is still a "solar blocker" in the region and will get less power from the sun in 2022 than the Southeast average for solar power last year. "It appears that TVA is only willing to cater to specific corporate demand for solar as opposed to implementing meaningful solar development plans throughout its service territory," Smith said. "TVA has also taken steps to actively discourage residential and commercial scale solar, reducing the rate it pays for solar to below retail and announcing cancellation of its Green Power Providers Program at the end of 2019 with no alternative yet presented." Instead of "net metering" — a billing practice to support customer-owned solar that exists in 38 states — TVA implemented a "dual meter" scheme in which it buys all the power owners generate on site, and requires those same customers to buy all the power they consume from TVA through their the local power company at retail rates. After decreasing the rate it pays for solar power produced by these customer- generators in 2018, TVA has since announced it will sunset this Green Power Providers program at the end of 2019 with no current plan to replace it, further slowing solar development and planning ability. "Tennessee Valley Authority was an early regional leader in small-scale, distributed solar," Smith said. "Now TVA is hostile to solar development and appears only willing to work with large corporations such as Facebook and Google as opposed to playing a leadership role in bringing solar opportunities to all customers." 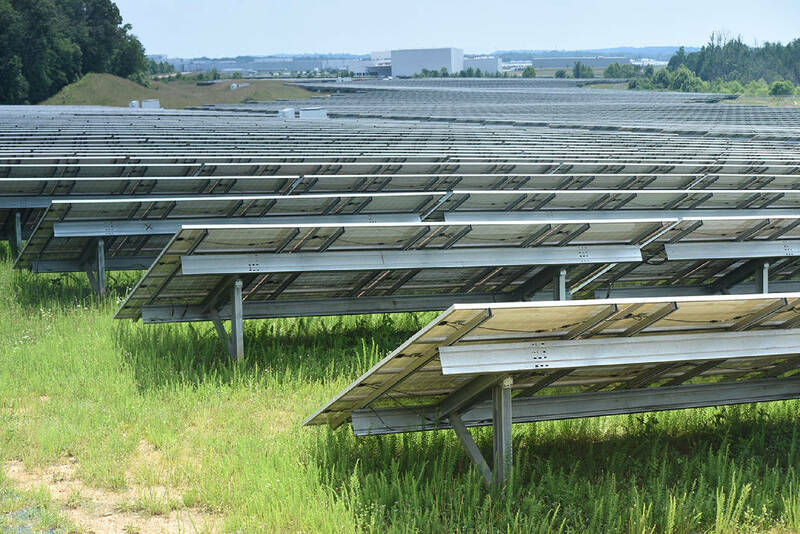 In its long-range power plans through 2040, however, TVA projects it will boost its solar generation from 4 to 9 gigawatts of power by 2040, depending upon the demand and cost changes over the next two decades. Outgoing TVA President Bill Johnson said TVA is getting more than half of its power from non-carbon sources due to TVA's 29 hydroelectric dams and seven nuclear reactors, in addition to its solar and wind generation. Johnson said solar tends to be more expensive since the sun doesn't always shine and backup power is needed when solar generation is not available. "Anyone is free to install solar panels on their house and we expect to continue to use more solar power," Johnson said in an interview earlier this year. "But The TVA act requires that we have the lowest rates feasible and that is what we are working to do."